As we await more photos from yesterdays release. I thought I would share some before and after photos of the released turtles. were severe enough that the turtle couldn't see. AFTER: After a few weeks and a stint on eye meds and antibiotics, the turtle started chasing food items through the water column. This turtle as you can see recovered nicely. 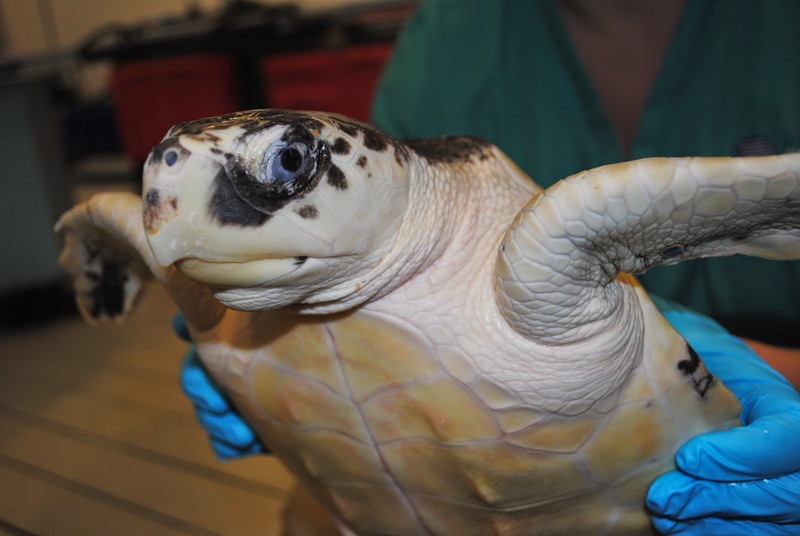 BEFORE: 090 or "Lucky the Leprechaun" was one of our last live stranded turtles. two beats per minute on admission. It did not breathe on its own and required intubation. 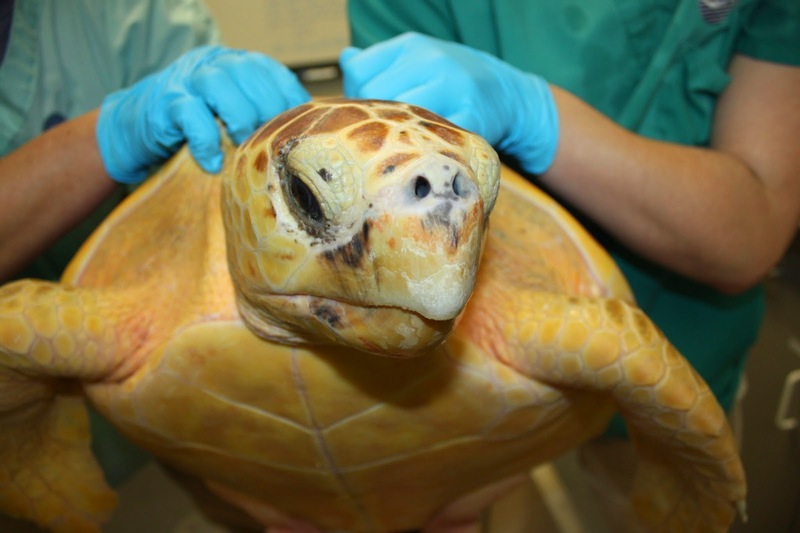 AFTER: This turtle fought back from the brink of death after life saving medication and lots of one on one care. 090 or "Lucky the Leprechaun" has become the picture of health you see today. BEFORE: 007 "Crunchasaurus Rex" was admitted with several odd shaped lacerations to it's front left flipper. BEFORE: Though we tried to save the flipper the necrosis was too great and we had surgically amputate. AFTER: However, this little one was a very aggressive turtle. 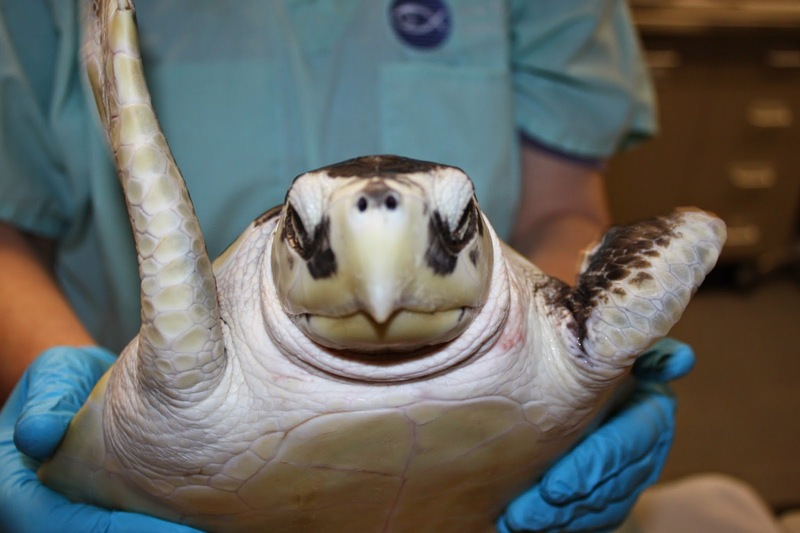 The turtle would always try to bite us when out for treatments. Watch out Northern Florida! Still not enough? Check out these Florida news websites about the release here, here and here!